The Priebe family is proud to have served the Brunswick, Medina, Cleveland and Northeast Ohio area for over 50 years, since 1956. For two generations we have offered excellent service and a commitment to quality for all our customers. Buying a new roof or having your roof repaired is an important investment and deserves a professional roofing company. We are trusted, committed to safety, insured and experienced to carry out the largest roofing projects. 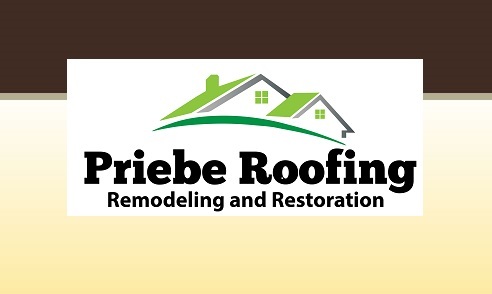 Priebe Roofing and Remodeling offers a full line of residential and commercial roofing services plus, gutters, siding, leaf guards, and roofing ventilation systems. We are authorized to offer extended warranties that other companies cannot. For A Limited Time Only, Get More Than Four Times The Up-Front Warranty Coverage - FREE! Click here for more details. The Priebe family is proud to have served the Brunswick, Medina, Cleveland and Northeast Ohio area for over 50 years. For two generations, the Priebe family has offered excellent service and a commitment to quality for all our residential and commercial roofing customers. Buying a new roof or having your roof repaired is an important investment and deserves a professional roofing company. We are financially stable, committed to safety, insured and experienced to carry out the largest roofing projects.